HMAS Newcastle of the Royal Australian Navy started its six-day visit to Da Nang City on the central coast of Viet Nam on Thursday in a trip to bolster the defense relationship between the two countries. “The ship has had a busy year in Australian waters, and the crew are enjoying the warmer tropical weather and looking forward to the recreational visit to Da Nang,” Captain Johnston said in an announcement released by the Australian Consulate General in Ho Chi Minh City. Australian Consul General, Mr. Mal Skelly, traveled to Da Nang to help welcome the guided missile frigate to Viet Nam for the first time. 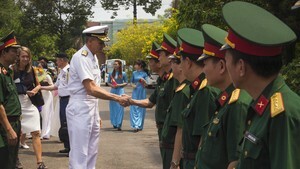 The ship’s officers are to pay a courtesy call on Da Nang leaders and the Vietnamese Navy’s representatives. The officers and crew members are participating in friendly sport activities, and sightseeing to popular tourist destinations such as the ancient town of Hoi An, My Son Holy Land, and the ancient capital of Hue. 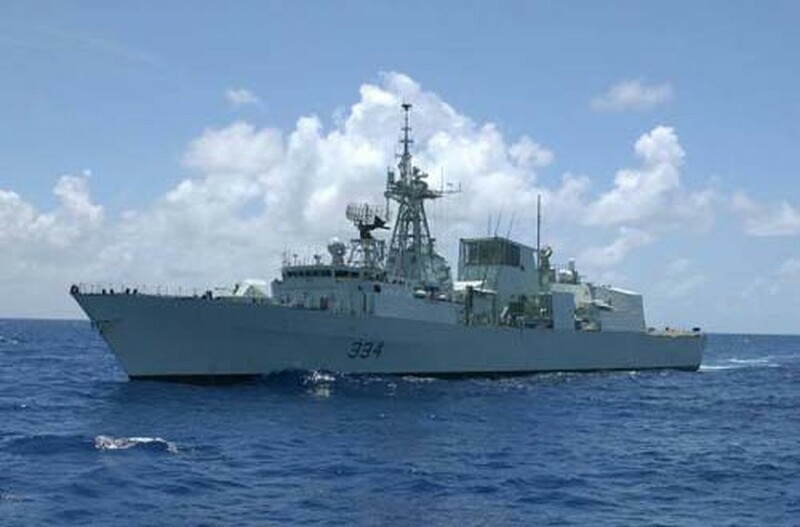 The frigate is 138 meters long and 14.3 meters abeam, with a displacement of 4,100 tons. It was launched in 1992 and commissioned in 1993. The Newcastle is the first Royal Australian Navy ship to bear the name, although there have been eight British Newcastle’s.